THE CONTROVERSIAL US scientist who auctioned off his Nobel Prize medal for millions has said he hopes to use some of the proceeds to set up a new institute at University College Cork. And now it has been revealed that Russia’s richest man purchased the medal in order to hand it back. 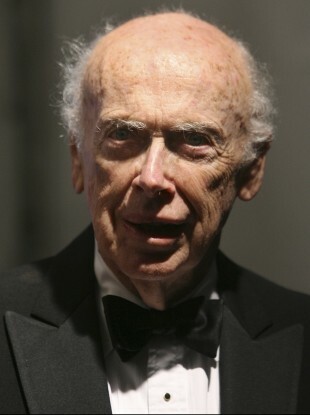 James Watson was awarded the prize in 1962 for his work in discovering the structure of DNA – the ‘double-helix’. The outspoken scientist has made headlines in recent years for comments on race, claiming that people of African descent are ‘less intelligent’. Watson sold the medal at auction last week for the equivalent of €3.8 million, breaking through previous estimates of between €2 and €3 million. He is the first living laureate to auction the award. Alisher Usmanov, a metal and telecommunications tycoon worth €12.7 billion according to Forbes magazine, said in remarks carried by Russian television that when he learned that Watson was selling the medal for charity he decided to purchase it and give it back to him. Usmanov hailed Watson one of the greatest biologists in the history of mankind. Speaking to Nature, Watson said he hopes to use some of the proceeds of the medal’s auction to set up an institute dedicated to George Boole at University College Cork. Boole’s work in mathematics is now central to computer science. Watson, who said he is “52% Irish”, was awarded an honorary doctorate by UCC in 2010. The proceeds will also go to the University of Chicago, Clare College Cambridge, Cold Spring Harbor Laboratory, Long Island Land Trust and other charities. Email “US scientist who sold his Nobel Prize to donate some of his millions to Irish university”. Feedback on “US scientist who sold his Nobel Prize to donate some of his millions to Irish university”.